my new shoes with me on our trip. Where they met their sole mate - the Cortana 2. Coming home, she got the approval from Boo. Either he was welcoming them or trying to figure out why there were shoes on his bed. 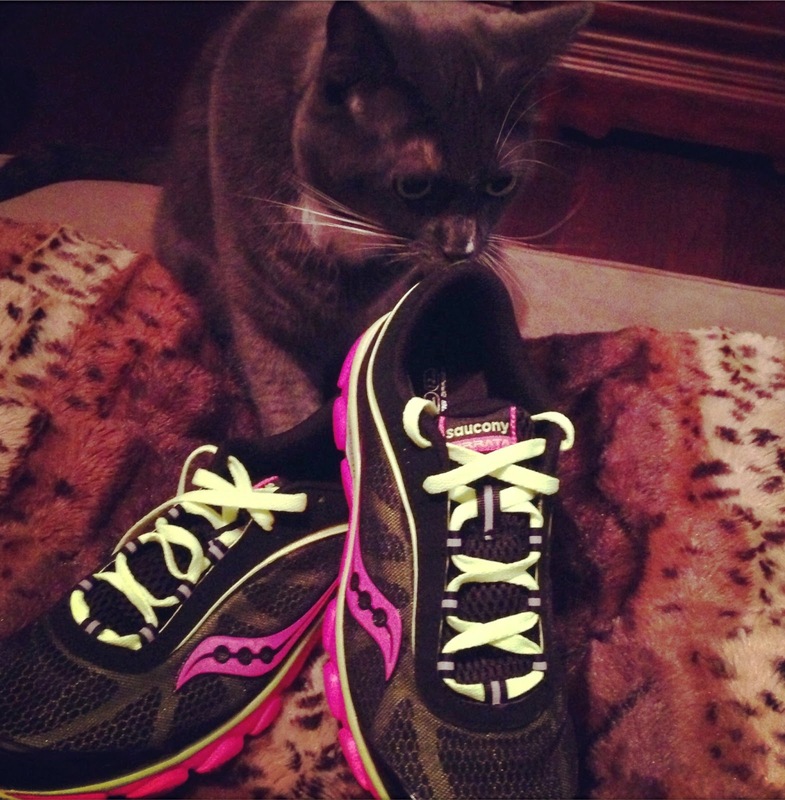 Kidding aside, my boyfriend has been a loyal Saucony runner for the past 2 years. He has worn both the Cortana and currently has the Cortana 2's. He has been urging me to switch over for quite sometime and now I have the opportunity to put them to the test. 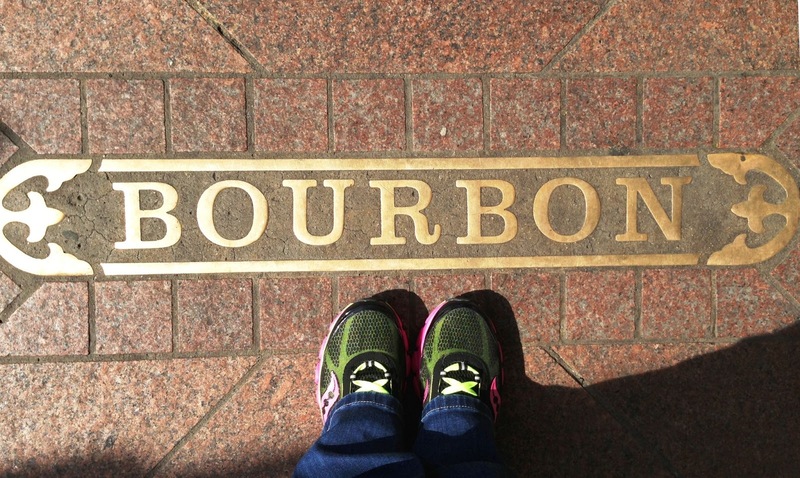 I wore the Viratta's for 10 hours straight, walking over 10 miles on day one in NOLA. The following day, I tested them out on the treadmill. I am accustom to a ton of cushion and I will say that they were pretty darn comfortable for being as light as they are at a whopping 6.5oz. When my UPS man delivered the shoes, he thought it was an empty return box. He was so curious over these light shoes that he asked to see them. 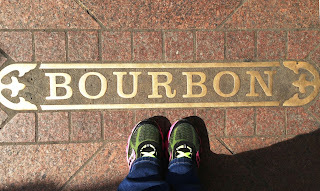 During my 10 mile walk through NOLA, my feet didn't bother me once other than the typical 'I have been in sneakers all day get me off my feet'. On the treadmill, they were comfortable - as comfortable as shoes can be on the rabbit wheel. I loved how light they were, that I didn't feel impact of the ground on a 0mm platform. Plus my foot could breathe! My biggest issue lately has been the toe box and the Saucony is very giving there. This is the main reason Gabe has been trying to get me to try Saucony out. They're pretty awesome. 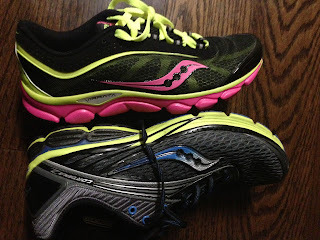 I haven't done a long distance run in them yet - due to receiving them right before the NOLA half but I am going to take them out on bayshore this weekend.